An armed man who deliberately rammed his car into a police van in Paris on Monday afternoon has been taken down by officers and is dead, French authorities said, CNN informs. The incident took place on the iconic Champs-Elysees boulevard in central Paris, the latest attack this year against security forces in the French capital. Gerard Collomb, France's interior minister, addressed reporters Monday afternoon, saying that the Champs-Elysees attacker's car contained weapons and explosives. 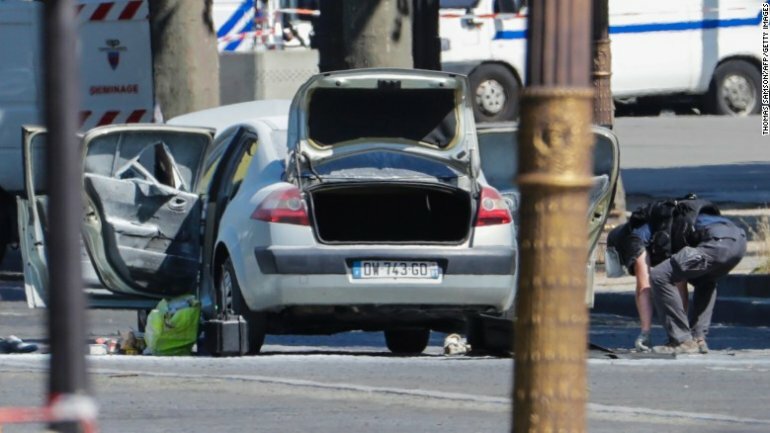 "Enough to allow him to blow up this car," Collomb said. The small white car caught on fire after the collision with the mobile police unit.